2017 was a landmark year for Hamilton Community Health Network. It celebrated its 35th anniversary, opened a new clinic to provide health care for the homeless populations in collaboration with Catholic Charities, began a Women’s Breast Care Clinic in partnership with the University of Michigan in Ann Arbor, and received a $1 million federal grant to help reduce crime and increase safety and support the revitalization of targeted north Flint neighborhoods. That was on top of the regular services it provides to patients regardless of their ability to pay, such as adult and pediatric primary care, general dentistry, obstetrics and gynecology, behavior management, and foot and vision services. And it’s not stopping, says CEO Clarence Pierce. “We now are looking at doing some things on the specialty side: dermatology, cardiology,” he said. 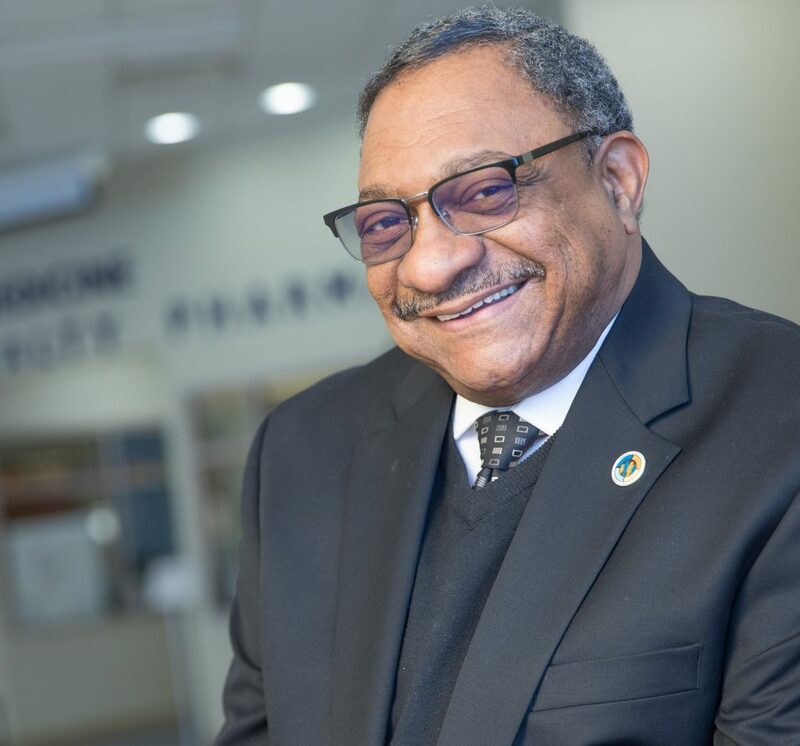 Pierce has been at Hamilton for nearly 12 years, and in health care for about 30, starting in Philadelphia at a health management company, which exposed him to community health centers. He decided that’s the area where he wanted to work. He wanted to touch people’s lives. Fate and opportunity then brought him to Flint. 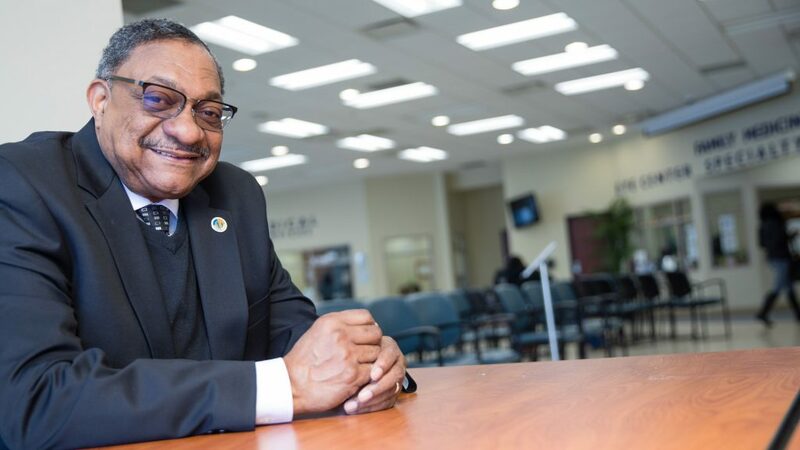 While in Philly, he was hired by one of the largest community health centers in that area and soon moved to become CEO of another. It was while he was working there in 2006 that he heard about the job in Flint. Pierce saw it as an opportunity to make a big difference in the community, but it was tough sledding. He said Hamilton “was just months away from going under.” He hired a billing manager, negotiated deals to dig out of debt and brought in more health care providers. By the end of 2007, Hamilton was on the rise. Fate helped continue the rise, Pierce said. He was concerned about the overcrowded Burton center on Saginaw Street, and would regularly see lines of people streaming out the door. One day he saw property next door for sale. Pierce was able to negotiate a much lower price that enabled Hamilton in 2009 to greatly expand the space and upgrade the equipment at the center. “From the day of its opening, it has been full every day,” he said. Now the location is open 12 hours a day, four days a week. The next task was to deal with the overcrowded administration space in the Northbank Center. He happened to take a different route home one day and passed by the current building on East Fifth Street and saw another for sale sign. He talked with the owner, who lived in Traverse City and was eager to sell the building. It turned out to be another good deal, and it came with automatic cash flow because the building had several renters. In 2010, it bought an empty lot on north Saginaw Street and built its current main health services building, which is now paid off. The facility also includes a teaching health center residency program with three partner institutions. 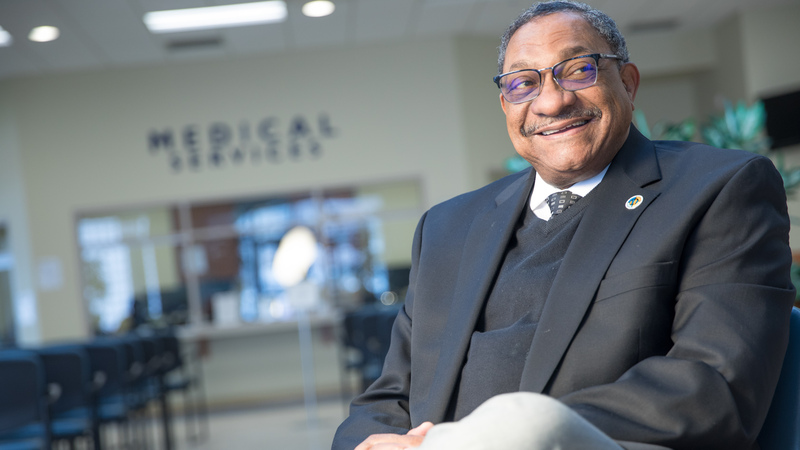 Hamilton collaborates with the University of Michigan in Ann Arbor, which sends residents and medical students to help with its breast clinic, urology, and dental services. That’s in addition to two University of Detroit residents and residents from the Lutheran Medical Center in New York. “It’s unbelievable how this happened and how fast. All in 12 years,” he said. But Pierce is not looking back. He’s focusing on the future, and that’s where the $1 million grant comes in. “What can we do to lift the health status of this community is the driving question,” he said. “We can work on a patient here and there, but what is it going to take to impact the whole community so that we make people healthy? We can’t do it alone, but we can do it if we start educating the people in the community, by getting into the homes of the people and find out what’s going on.